Gifts of Tribute are an expression of recognition for loved ones and support for South Georgia Medical Center. These contributions help invest in the future of our community’s health. Gifts of Tribute are often given in memory of a loved one, friend, or business associate; to cheer someone who is ill; to honor a caregiver; or, to honor a significant occasion for a colleague. In recognition of your gift, we will send an acknowledgment letter to the person or family who you are paying tribute. Gift amounts will be kept confidential, but the feeling of gratitude will be felt for years to come. 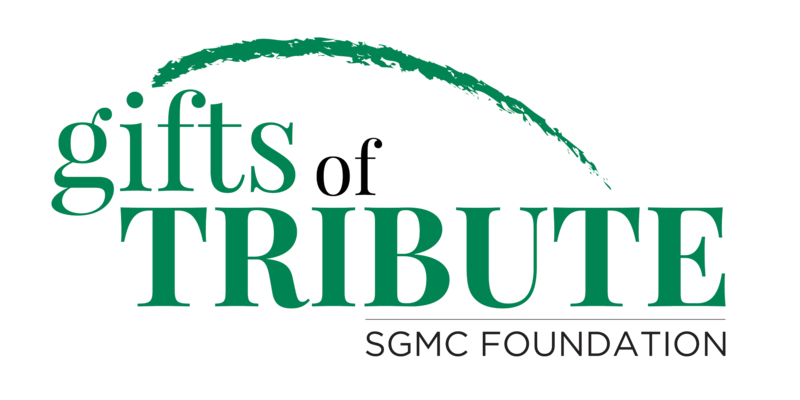 Each Gift of Tribute to The SGMC Foundation helps South Georgia Medical Center maintain high standards of medical treatment and care so essential to the well-being of our community. Through the work of the Foundation, the benefits of your generosity are felt by many. On their behalf, Thank You.